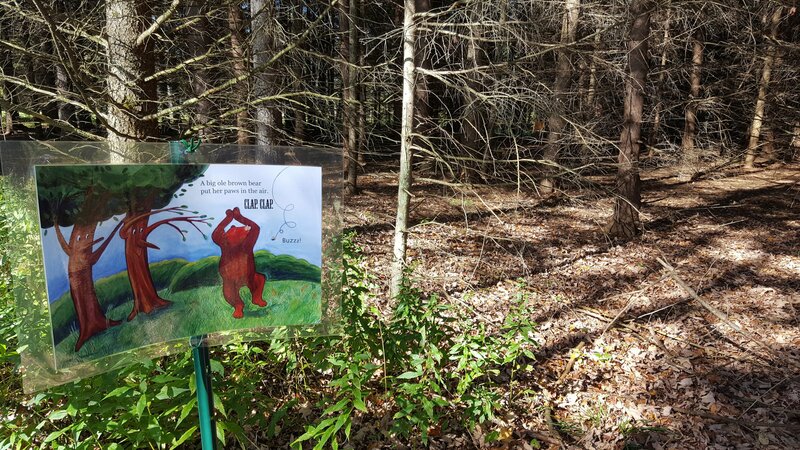 This new program launched in 2018 takes high quality children’s books and transforms them into an interactive outdoor experience that both children and adults can enjoy together. 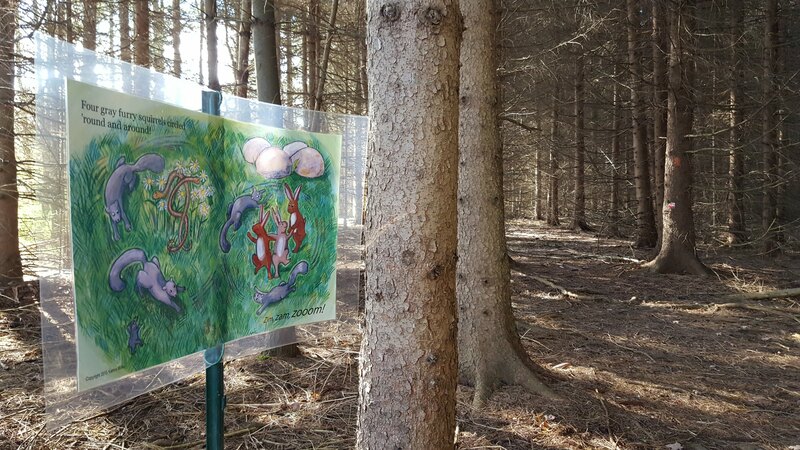 Book pages are laminated and mounted on posts, which are installed along a path in an outdoor location. 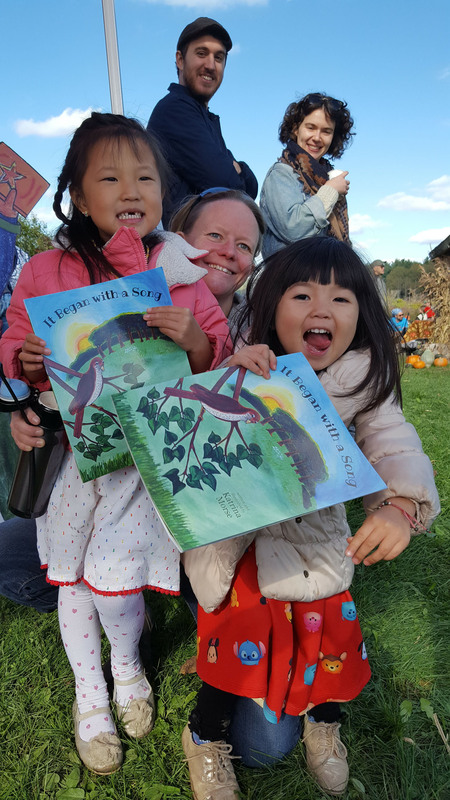 Stories that are well suited to being read in this dynamic way are selected in consultation with our early childhood specialist, and rotated out throughout the year, or for different seasons. Caregivers walk along the path with their little ones and read each page as they come to it. Encourage new ways to enjoy and interact with books and stories. Offer alternatives for those who may have trouble sitting and reading in a traditional setting, or just want a change of pace. Support parent-child interactions and language learning in a variety of ways and environments. Highlight valuable community resources like parks, and encourage families to spend active time outdoors. Demonstrate connections between books, literacy activities and real world experiences. Incorporate a variety of sensory experiences into the language learning experience. Movement and physical play are crucial to supporting development and learning. This program gives people the opportunity to be physically active while enjoying a story as a fun alternative to traditional book reading settings. 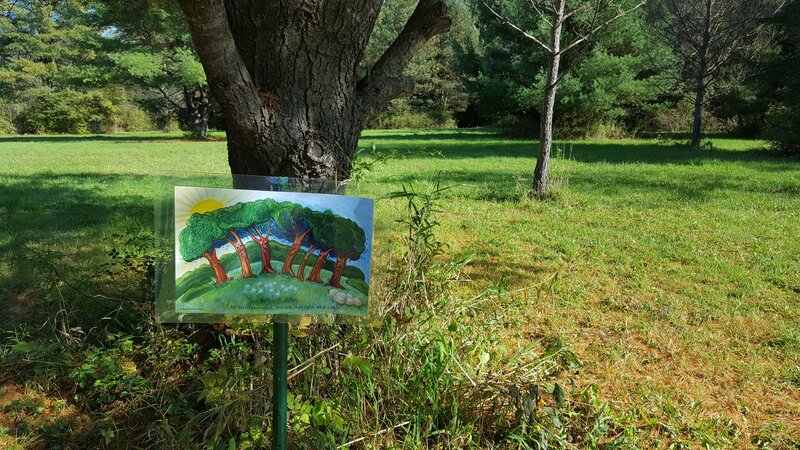 The first Story Walk was debuted at Dotson Park in Danby, NY in the fall of 2018 with funding from The Rotary Club of Ithaca. 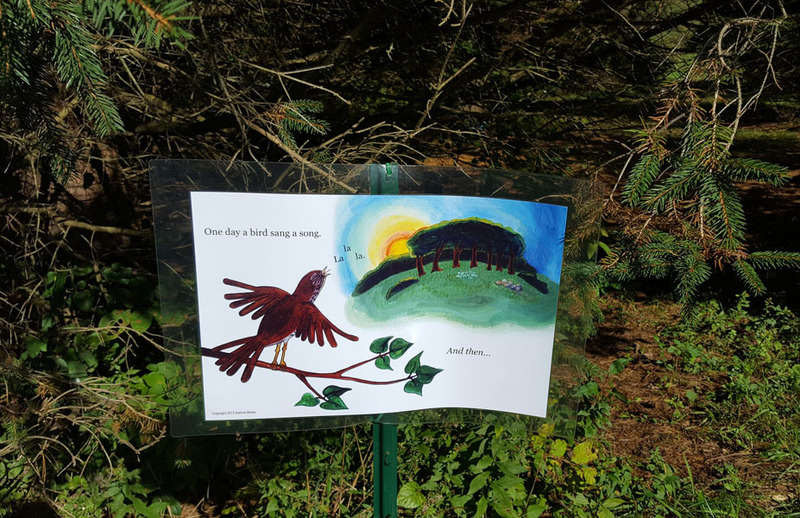 Local author Katrina Morse’s book "It Began With a Song" was selected for its colorful illustrations of animals in a meadow which complimented the natural scenery beautifully, as well as it’s playful use of text and onomatopoeia. Two more sites in, Enfield and Dryden, have already been selected for new installations in 2019 with more being planned. This program promotes alternative ways of using and reading books to support continued interest in reading, and supports learning through movement and sensory integration. Studies with fMRI show parallel roles for cognitive and motor centers in the brain, with movement having a deep impact on learning in a variety of ways. Being able to integrate a variety of sensory experiences in the process also supports learning since children have more ways to understand and explore a story when using all of their senses.